Dogs4us was exposed by Sky News in 2009 for sourcing puppies from puppy farms in Wales where dogs are being kept in squalid conditions. Dogs were found living in tiny pens in complete darkness with little or no bedding, no stimulation, and no access to the outside. Footage obtaineed by Sky News revealed the torment inflicted upon these sentient creatures as a result of persistent confinement, as well as documenting the customers of Dogs4us who had bought sick and diseased puppies. Dogs4us still will not allow customers to see puppies with their mother before you buy as the government recommend. 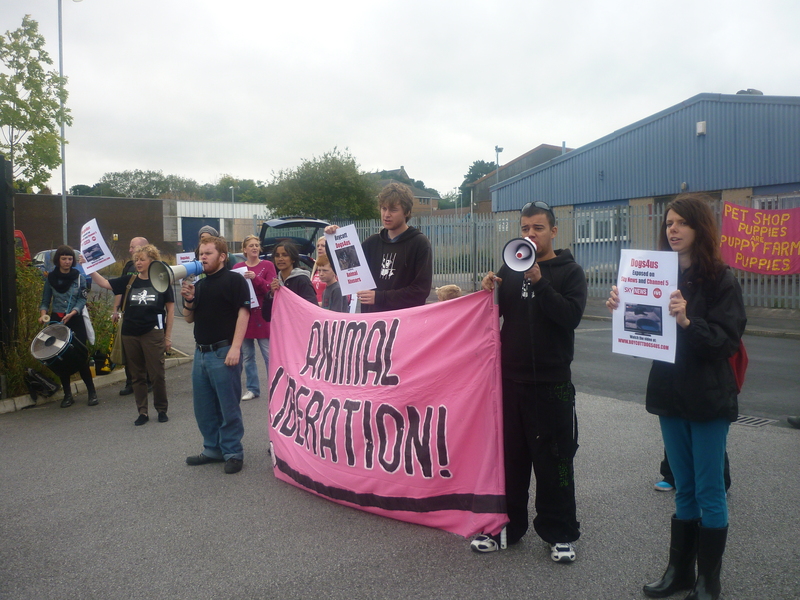 Previous PostAnti-Puppy Farming Day Sees Around 44 people Protest Dogs4usNext PostBoycott Dogs4Us Campaign – Full Steam Ahead!